In case you are interested. Konami appears to be determined to stick around in the AAA gaming market in spite of renouncing it a few years ago, albeit in a reduced capacity- maybe the success of their games like Super Bomberman R has something to do with that. Later this year, the company will be releasing the next installment in the Metal Gear franchise, the game that no one asked for- Metal Gear Survive. 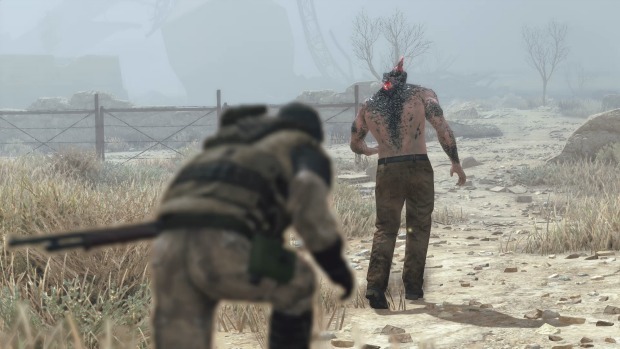 Metal Gear Survive is a co-op zombie shooter made on the FOX Engine, which means it is everything that Metal Gear fans did not want from the franchise after Kojima’s departure. Still, if you are one of those people who are interested in the game – maybe out of a perverse, morbid curiosity, maybe because it actually does interest you – the good news for you is that the game is still due for release later this year. Speaking at their financial meeting, Konami confirmed that the game will launch in 2017. Maybe we will hear more about it at E3 next month. As of right now, the game is due out for PS4, Xbox One, and PC.